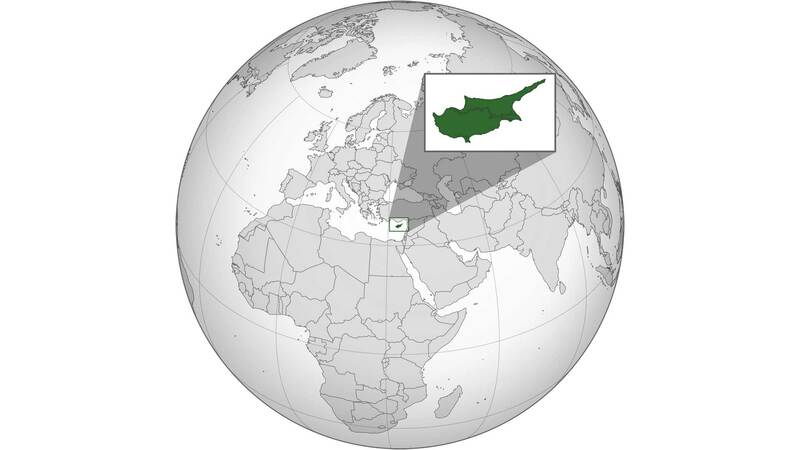 Cyprus is a republic that has been part of the European Union since 2004. The island is located in the eastern Mediterranean, off the coast of Turkey and Syria. The territory of the island is mainly mountainous, crossed by two chains of reliefs separated by a narrow flat strip, the Mesaria or Mesoria. The coasts are regular and straight to the north, while in the rest of the island are articulated in gulfs and bays. The climate is Mediterranean, with mild winters and very hot summers, and the vegetation is made up of the Mediterranean scrubland; on the mountain areas, however, there are pine and cypress woods. 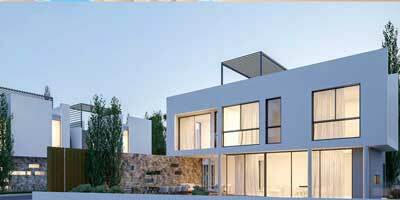 Most of the population lives in cities and the phenomenon of urbanization is extending. The greatest concentrations are in the flat area of Mesaria, around the capital, and along the coasts, in particular the southern ones and the eastern ones. In 1974 the division of the island between the Greek and Turkish communities caused the mass movement of about 200,000 inhabitants of Greek origin from the northern to the southern area and, conversely, of numerous Turkish Cypriots from the south to the north of the island. The capital is Nicosia, which rises in the central-northern part of the island, on the Pedias river, in a fertile plain. It is a lively commercial, political and administrative center. Other important centers are Limassol and Larnaca, both in the Greek sector, and Famagosta, located in the Turkish-Cypriot area. 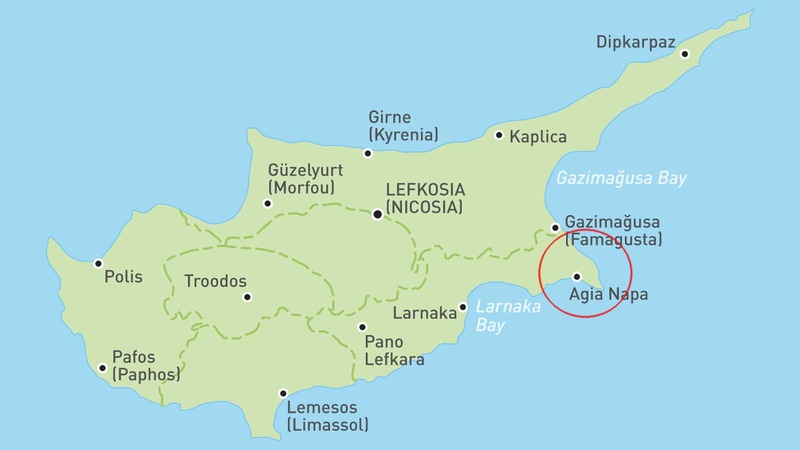 The name of Cyprus derives from the Latin cuprum, which means copper; large deposits of copper (now exhausted) were in fact present on the island. Since 1974, Cyprus is divided into two different states: in the southern section is the Republic of Cyprus, recognized by the international community, whose population is mostly Greek; in the northern part is instead the Turkish Republic of Northern Cyprus, recognized only by Turkey, inhabited mainly by Turks. Even the capital Nicosia is divided into two areas. This situation has been reached by the serious contrasts that existed within the population, composed of Greeks and Turks. In fact, 80% of the Cypriot population is of Greek origin, while the Turkish Cypriots are about the 18%. There is also a small community of Armenians. The tension between the two communities rekindled in 2002 due to EU enlargement negotiations, which saw Cyprus as candidates but not Turkey. In 2003 the Parliament of the Republic of Cyprus ratified the accession treaty to the EU and in 2004 it became part of it. On the island wheat, barley, tobacco, citrus, vine and olive are grown. The industry is mainly based on small manufacturing companies. The real wealth of the country consists of seaside tourism.